www.EmbryoDonation.com is a Website specifically designed for those patients interested in donating or receiving embryos. Physicians, nurses, laboratory professionals, IVF Coordinators, Cryofacilities, Third Party Gestation Mangers, Mental Health Professionals and others interested in the field of embryo donation may also find much of the information presented here educational. This web site is currently supported through the generous donations of time, effort and expenses by Specialists In Reproductive Medicine & Surgery, P.A (SRMS)., in combination with Embryo Donation International (EDI). At the present time, there are no individuals or corporations, beyond SRM-/EDI itself, that advertise on this site. By maintaining this level of neutrality, we believe an unbiased reporting of data and medical information will occur. For the purposes of updating and improving our web site, we collect general information each time you visit including the type of internet browser and operating system you use, the time and date of your visit, the link which may have sent you here, as well as the web pages you visited on our web site. This information is used to modify and improve our web site. We will not obtain any personal information about you during your visit to the site without your express permission. Any personal information you do voluntarily provide to us will not be shared, traded nor sold to any third parties without your express permission. If you send us an e-mail message, you will receive periodic e-mails regarding changes to the site. We reserve the right to place your e-mail address into our notification database. By doing so, you may also be notified of other important practice changes including upcoming lectures, new clinical studies and other items that may be of interest to you. Some web sites that have links on our site may collect information not listed above. SRMS-EDI does not control the collection nor use of such information and can not be responsible for the content nor the data collected at linked sites. While we do our best to link to credible organizations, we cannot be responsible to changes to these different web sites. We may occasionally change our Web Site Policy and we will post these changes on this web page. By using our web site, you consent to the collection and the use of your information as outlined above in this Web Site Policy. Notwithstanding any statements to the contrary, we may disclose any information if we are compelled by law to do so, or in legal proceedings where such information is relevant. By using our web site, you consent to the statments explained on this web page. The information contained here at EmbryoDonation.com is presented for the sole purpose of education. Nothing contained in EmbryoDonation.com is intended to be instructional for medical diagnosis or treatment. The information provided here should not be considered complete, nor should it be relied upon as a course of treatment for a particular patient or disease state. EmbryoDonation.com should never be used in place of a physician or other qualified health care provider visit. The information contained in this web site represents the current view of SRMS-EDI. 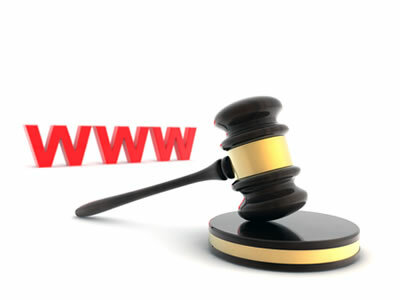 SRMS-EDI cannot guarantee the accuracy of any information presented after the date of web site/page publication. The reader assumes the entire risk as to the accuracy and the use of this web site. INFORMATION PROVIDED IN THIS WEB SITE IS PROVIDED "AS IS" WITHOUT GUARANTEE OF ANY KIND, EITHER EXPRESS OR IMPLIED. This web site may be copied and distributed subject to the following conditions: 1) All text on a given web page must be copied without modification and all pages must be included; 2) All copies must contain the SRMS-EDI copyright notice and any other notices provided therein; and 3) Information from this web wite may not be distributed for profit. All trademarks acknowledged. Copyright © Embryo Donation International, a subdivision of Specialists In Reproductive Medicine & Surgery, P.A. All rights reserved 1998-2011.